A medium-sized studio with a multi-purpose floor, allowing artists of all disciplines to work and create. 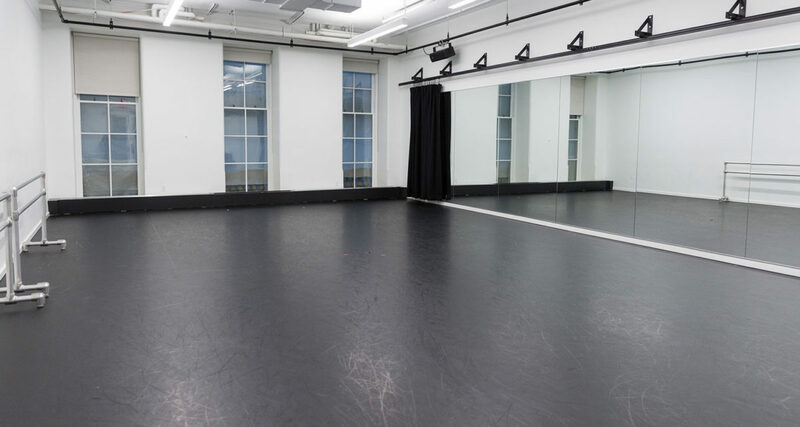 Studio X includes large wall-mounted mirrors with drapes, and three windows overlooking Broadway. Use of tap shoes and indoor use sneakers allowed; heels prohibited. Use of tap shoes and indoor use sneakers allowed; heels prohibited. 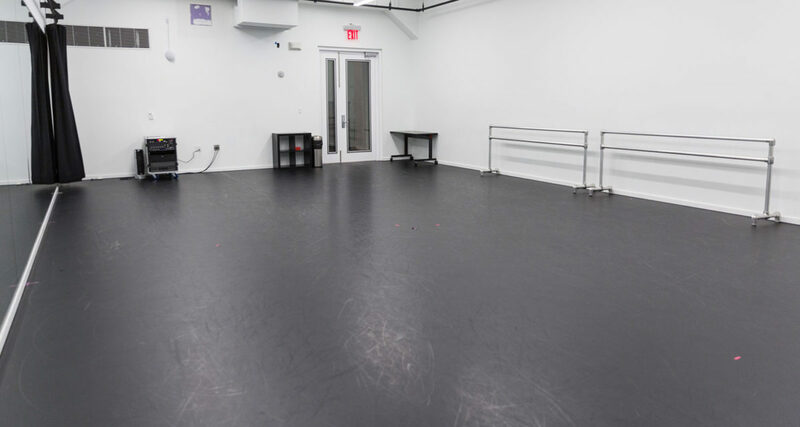 With support from The Howard Gilman Foundation, Studio X was the site of a pop-up rehearsal studio in 2017 before the Next Phase Space renovations were completed in March 2018. The completed space, along with Studio V and Studio W, contains original plaster from the 1840s that our construction team carefully revealed and restored during the renovations.